A Southampton astronomer is among a team of international researchers whose work has revealed a surprising similarity between the way in which astronomical objects grow including black holes, white dwarfs and young stars. Christian Knigge, Professor in Physics and Astronomy, worked with colleagues from around the world to study one of the most important, but least understood processes in astronomy – accretion, where the mass of an object grows by gravitationally collecting material from nearby. The article Accretion-induced variability links young stellar objects, white dwarfs, and black holes has been published in the latest edition of the journal Science Advances. The paper reveals a close relationship between the way in which different types of accreting objects vary in brightness over time. 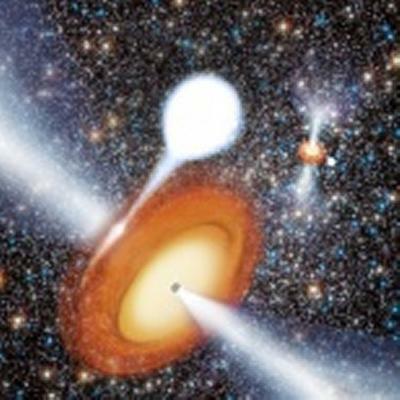 Their results connect proto-stars resembling our Sun at the time of its birth, to accreting white dwarfs, to supermassive black holes with a billion times the mass of the Sun, located in galaxies millions of light years away. The team found that the two most important properties of the object are its physical size, scale and the rate at which it is accreting matter. They discuss a unified scenario for understanding brightness variations from accretion discs around different types of stars and compact objects. 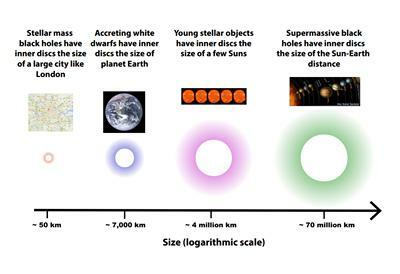 Previous work had unified the variability in discs around black holes of different mass ranges, but by considering not just the mass of the object, but also its size, scientists can now add accreting white dwarfs and proto-stars to this unified picture. The research saw Professor Knigge working with two former University of Southampton colleagues. The paper’s lead author, Simone Scaringi, a Humboldt Research Fellow at the Max Planck Institute for Extraterrestrial Physics, in Germany, was an undergraduate, postgraduate and PhD student at the University of Southampton. Tom Maccarone, an Associate Professor in the Department of Physics at Texas Tech University, was a Reader in Astronomy at the University of Southampton.